Pamper yourself with a luxurious manicure or a relaxing pedicure. Transform tired hands and feet with a gentle, cleansing and revitalizing citrus soak followed by a conditioning cuticle treatment. 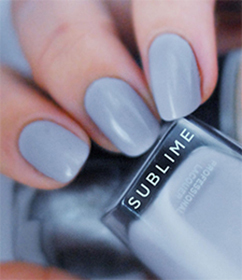 All nail services include a massage with an ultra-hydrating therapeutic lotion. And of course, we only use the highest quality nail products, such as OPI, Essie, or CND, because these are the most trusted names in the industry.